On the night of Monday, December 4, 2017, I went out to get a coffee with my program director, Joanna, who was in Ventura for a site visit. When we arrived back to the house she noticed ash falling from the sky. I didn’t think anything of it. Joanna did some research and told my community that there was a fire in the neighboring town of Santa Paula. If there was one thing I learned about California, after living here for a couple of months, it is that fires may occasionally happen in the fall with dry, hot winds that come in from the east. Next thing I knew, I was awoken in the middle of the night. The fire raging in Santa Paula had burned its way to Ventura. This fire was fast approaching our community, and when I looked outside, the hills and sky were completely orange, everything engulfed in fire. We evacuated Ventura that night. This fire, known as the Thomas Fire, burned 281,893 acres, destroying 1,063 structures, and damaging 280 structures. After spending three nights in hotels and eventually making our way to another Augustinian community in San Diego, I left California, on Friday, December 8, 2017, and headed home. As I crossed the country, headed home to Massachusetts, I was filled with anxiety – checking and re-checking the status of the fire online. Watching it grow, I was very thankful to be surrounded by my family. I was praying, waiting, and wondering when this tragedy would end. I felt hopeless, sad, and angry about my inability to help the people of Ventura County. With Christmas right around the corner, I prayed for the innocent children at my service site, Our Lady of the Assumption School, hoping the joy of the holiday season would overpower the grief, loss and anxiety that the fire had caused. I returned to Ventura on Saturday, January 6, 2018. I was ready to see the damage the Thomas Fire had left behind and how it had impacted my community of Ventura. Every person here has their own story about how the fire affected them. I learned about many of the children’s stories by reading their thank you letters to the first responders who battled the Thomas Fire. 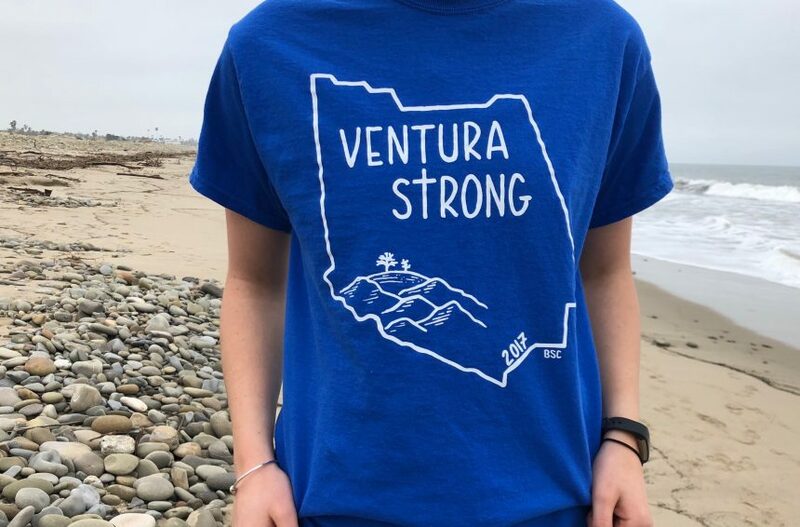 I learned that backyards had been scorched, animals had been lost, and that most families evacuated their homes in Ventura. But I also discovered what I believe is a miracle. None of the school families’ homes of Our Lady of the Assumption School, or staff member’s homes, were among the 1,063 structures destroyed in the fire. It was not just by chance or by luck that none of these peoples’ homes – people whom I have grown to know and care for – were destroyed in the Thomas Fire. I believe it was God’s grace.